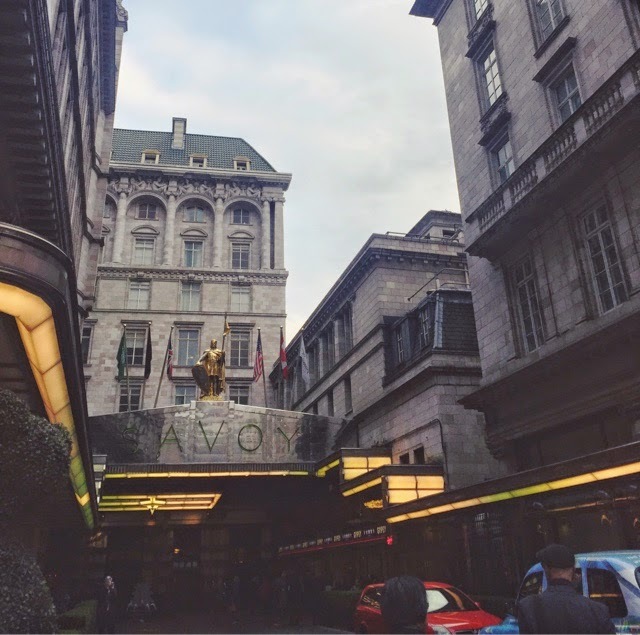 Hello lovely readers, I was lucky enough to stay at the Savoy Hotel and I want to share my experience of the whole thing with you! 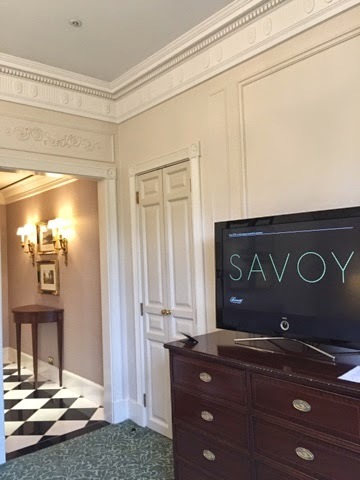 The Savoy is a hotel on the strand in London for those who are unaware and wow it is such a beautiful hotel. Every single member of staff were incredibly attentive and kind. 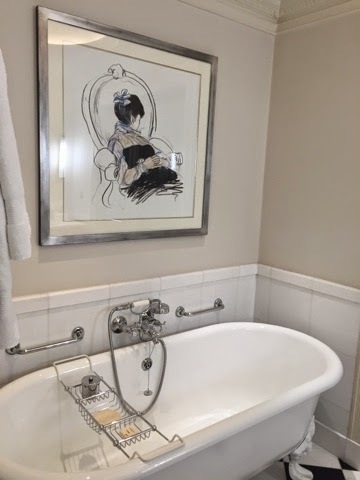 As soon as we were checked in we we're shown up to our room. 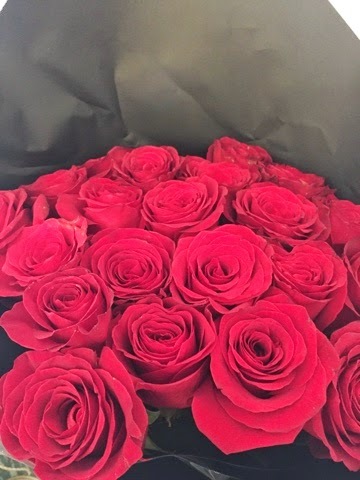 On arrival in the room Dejon had organised 21 red roses for me as a late birthday surprise. It was so sweet and very romantic. Later on in the evening it was time for dinner so we headed to their in house restaurant Kaspers. 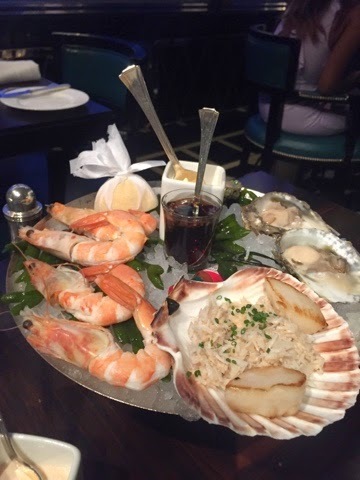 We were served by a very lovely gentlemen who was clued up on the industry and we had a good conversation about which restaurant he recommended us to visit next. This is a really important part of having dinner out for Dejon and I; because Dejon is a chef and I am a massive foodie being able to have a conversation like that with our waiter is so refreshing and promising. For starters we shared the Chicken Liver Parfait and the Seafood Platter. 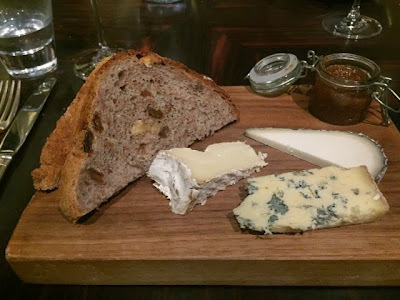 They were both amazing, if you have tried Dinner by Heston Blumenthals Meat Fruit, Kaspers comes very close to that! 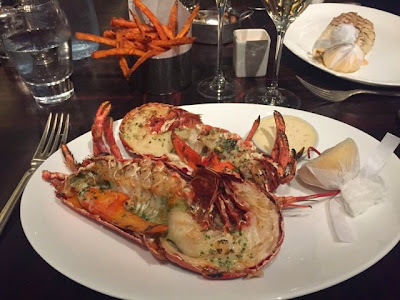 Onto the mains, I went for the Lobster which was absolutely delicious and Dejon went for the Dover Sole. We ordered a side of my favourite, Sweet potato fries. 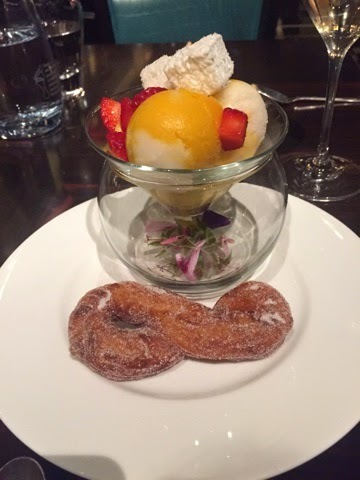 It was doughnut with a delicious sorbet perfect to clear our palette. 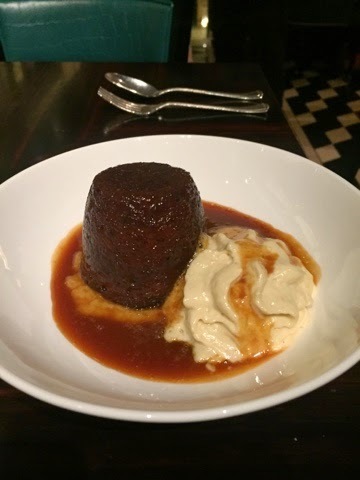 For dessert Dejon had the date sticky toffee pudding and I had my obvious choice - CHEESE! 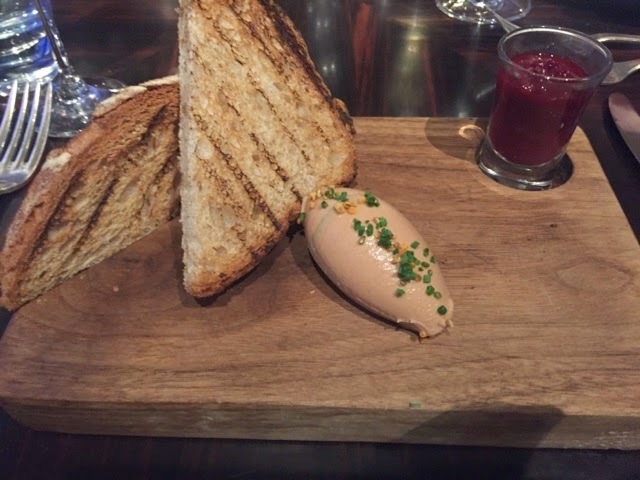 It was such a delightful meal and we were really looked after. 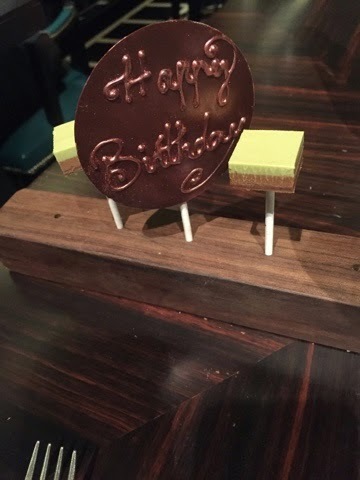 As it was a late birthday celebration they even a brought out this chocolate lollipop iced with 'happy birthday'! 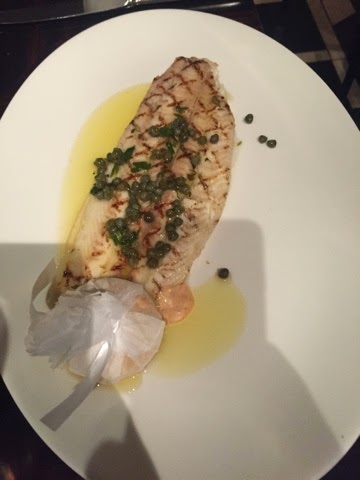 After this delicious dinner I was full to the brim. 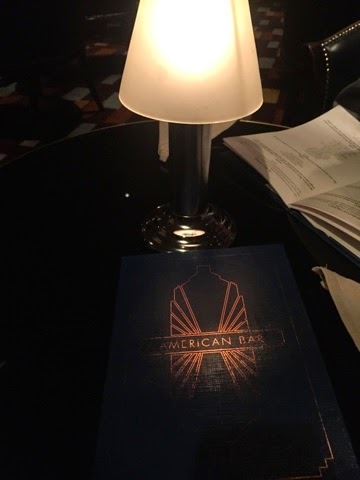 Dejon tempted me into trying their cocktails at the American Bar a lovely location for a pre or post dinner drink. 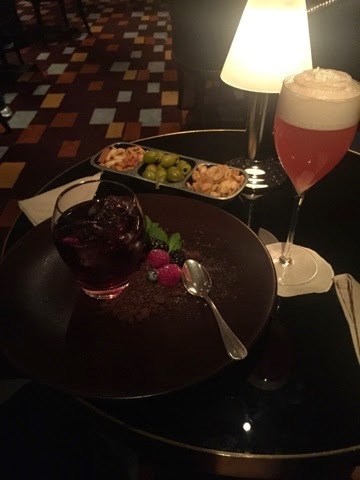 I had to do a close up of Dejons cocktail as it was something I had never seen before. 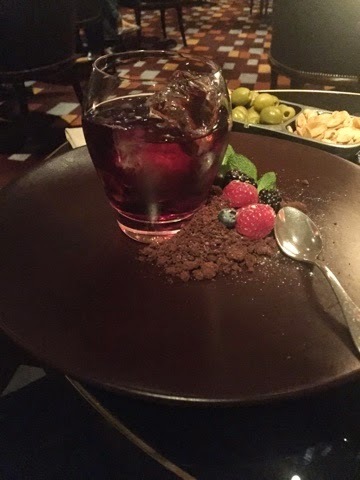 It was a rum based cocktail but the decoration almost made it a dessert. He wished he left space for it. 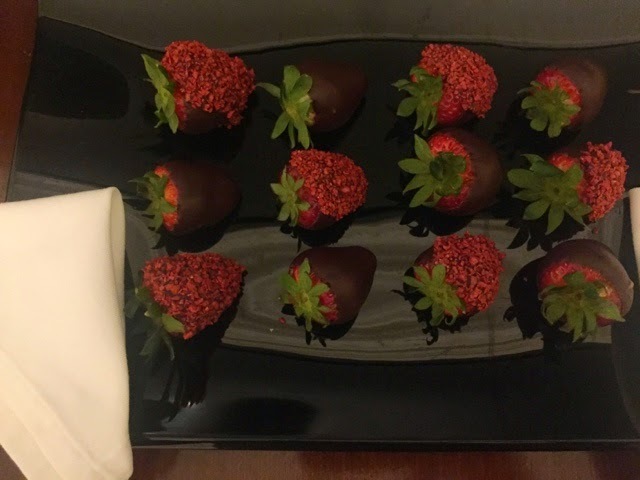 After our nightcap we headed back to to room where we had champagne and strawberries dipped in chocolate. I felt truly spoilt and like I was in a movie! 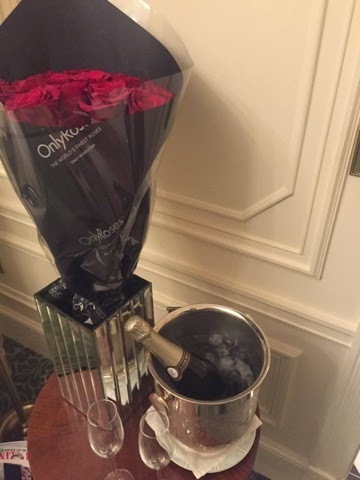 It was a perfect way to end our night at the Savoy. I would highly recommend a visit for a special occasion as they do truly treat each and every guest like a VIP. 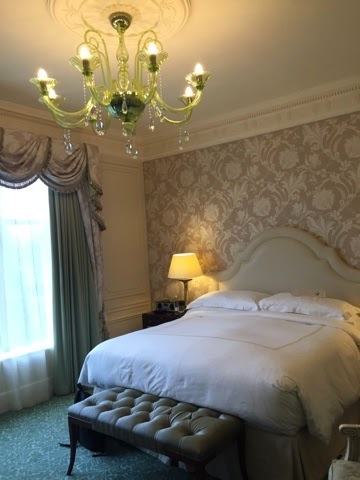 What's your favourite hotel in London?